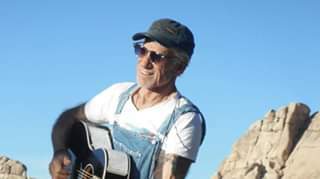 BILL BLOOMER Tuesday, May 7th; 8-11 pm http://billbloomer.com/ https://www.facebook.com/billbloomermusic/ Upon the success of his 2018 release "Jubilee" (Readers poll, best album in Americana Highways and Twangville), Bill is again touring across the U.S. Bill has performed on 5 continents after starting his career in the Portland, OR folk scene, and over the years has played with Rambling Jack Elliott, Butch Hancock, Ellis Paul, Victoria Williams and many others. “I never heard anyone sing like that.” – Ramblin’ Jack Elliott “So many great songs. For years I’ve waited for someone to come along with the mojo.” – Butch Hancock “My favorite songwriter in the whole world; true story." is the real deal” – Dave Carter “I admire an artist whose work has depth and doesn’t give up the ghost in one or two listens. His “Jubilee” album improves with every listen.” – Duke Lang, Betters Days COOP Radio “You were great . . . you have so many good songs” – Victoria Williams “Bill Bloomer, world class performer, iconic musician, awesome lyricist” – Knox Jones, I-69, TX.